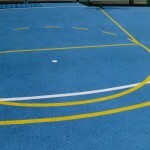 We are experienced installers of basketball court surfaces at many locations across the UK. There are many specifications available for this type of facility, and we can create a custom design for your school or club. 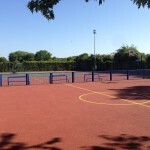 Both macadam and polymeric rubber are often used for these surfaces because they have hard court properties which enhance ball bounce. Costs for these different products depend on the design of the flooring as well as the chosen area size and location. 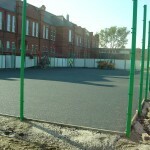 Please contact our team today if you would like a quote for installing any of these surface types for an outdoor facility. 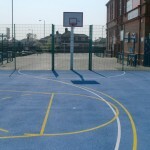 We offer a selection of surfaces that are suitable for basketball, the most popular of those surfaces being Type 1 macadam as it has a high slip resistance rating, allowing for the players to quickly change direction and speed, this is necessary for a fast paced sport like basketball, making it the most suitable one we have to offer. 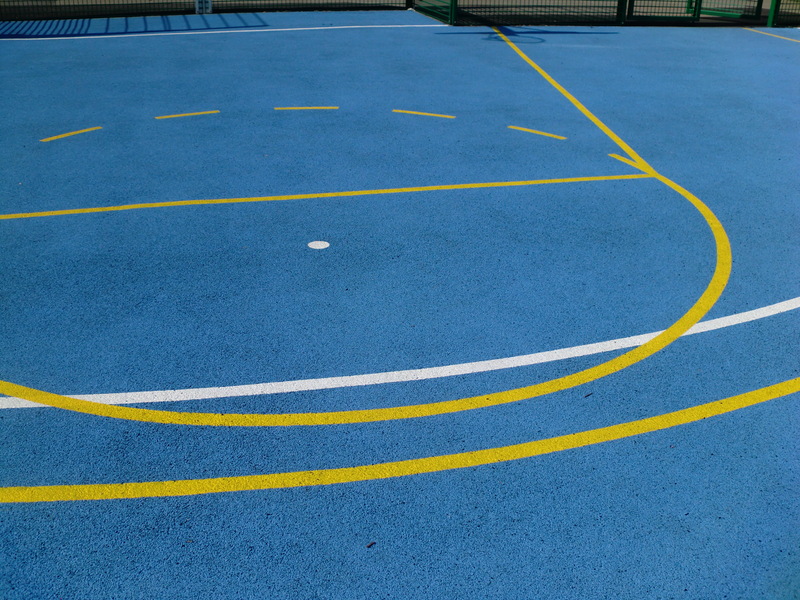 However, if you would like a multi-use games area that is specifically used for basketball, but needs to accommodate other sports such as football or tennis, we offer other suitable surfaces that can be effective in multiple ways. 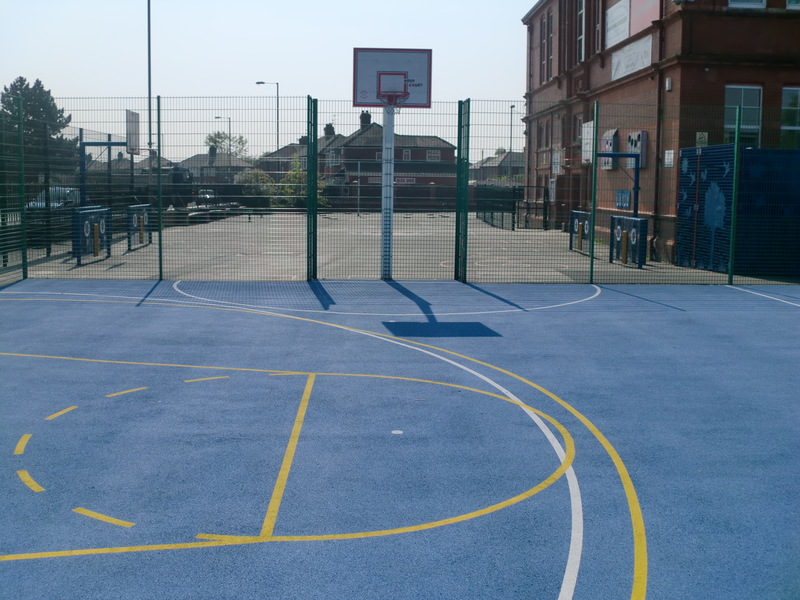 We can also provide our facilities in a range of colours, allowing for you to have more freedom over the design of your basketball surface, which could be perfect for schools, colleges and universities with competitive team colours. 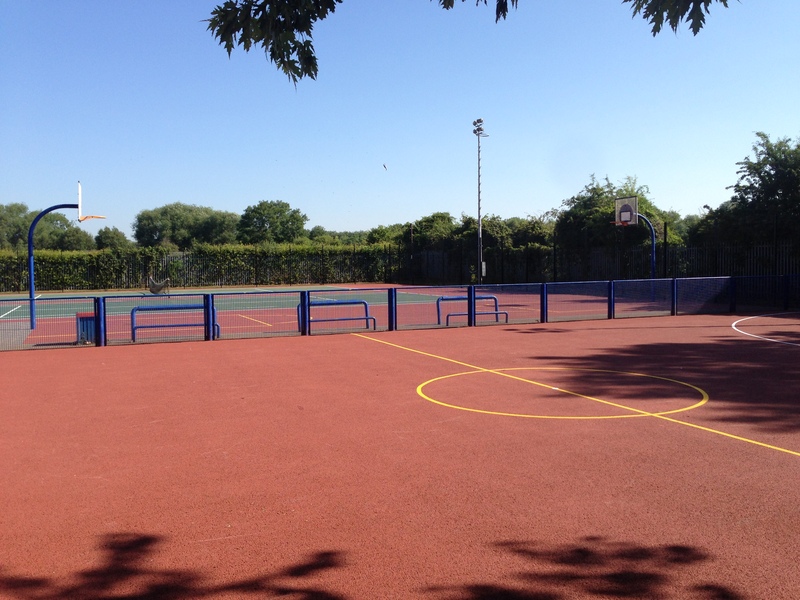 Basketball court surfaces made from macadam are very hard wearing and tough, this ensures that the court has a long product life and does not require a large amount of maintenance. Our aim is to give you great value products and services which meet your requirements and fit in with your budget to give you the best overall result for your organisation, whether it’s a school, college, leisure centre, or other establishment. 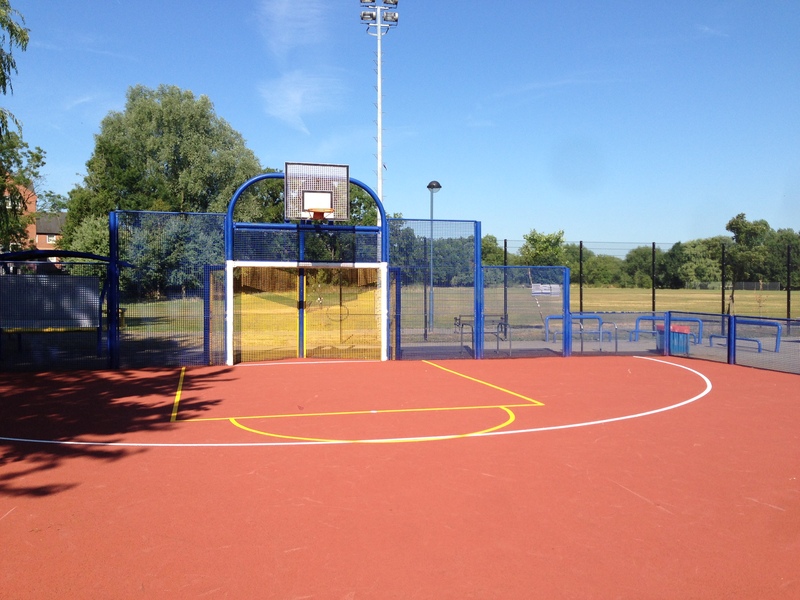 We offer a whole hosts of extra features that you can have installed with your sports surfaces. You can edit and design these to whatever extent you want to help keep costs to a minimum and the overall price down helping you stick within your budget for the year. 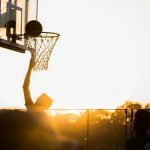 One of the many ways we can keep the prices down for your job, is to allow you full customisation over the fencing, equipment and floodlighting that can be included in the quote for your sports court. Although fencing is a big expenditure, if the area is susceptible to vandalism, it could be cost effective to have the fence rather than dealing with the repairs. 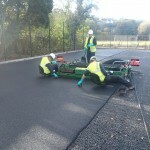 Another way of ensuring that costs are kept down in the long term is to make sure you have a proper maintenance and cleaning plan in place to make sure that your court gets the refurbishment that it deserves, this will mean that in the future you won’t have to pay out for the court to be resurfaced, or an entire new court to be installed. Certain maintenance options we offer are drag matting, which removes any contaminations such as dirt, leaves and other debris. This is proactive maintenance which should be done regularly to keep your facility in top condition and to ensure that the facility is safe for players. We also offer reactive maintenance which is to deal with any issues that have already occurred that we can rectify, to help stop the chances of a new surface needing to be installed. You can use the contact form on this page to speak with our team about prices and designs for basketball court surfaces at your facility. 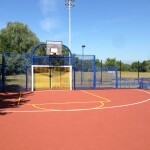 Each project is different and you can choose a completely unique specification and colour scheme for your sports area. Be sure to let us know if you have any requirements in mind with regards to specification and budget and we’ll do our best to stick to this for you. Please also include details of the project such as your location and an approximate measurement of the area.